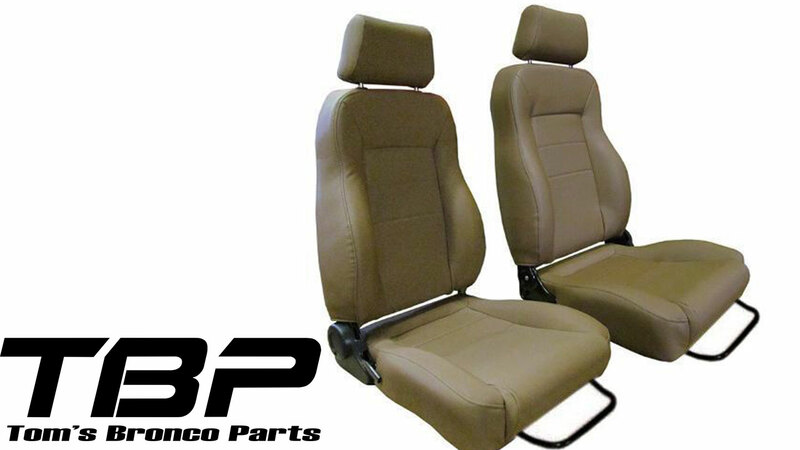 TBP Custom Deluxe Seats offer a great look and modern convenience. 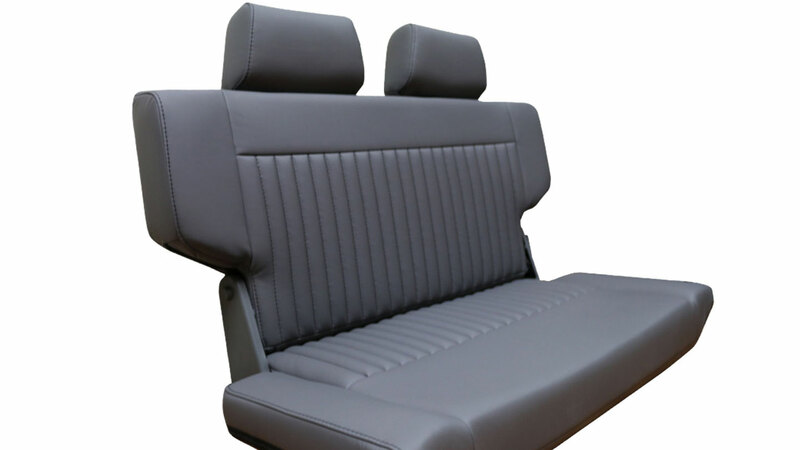 Our front deluxe seats include infinite adjust backrests sliders on both sides making it easier than ever to get to the back seat from either side of the Bronco. 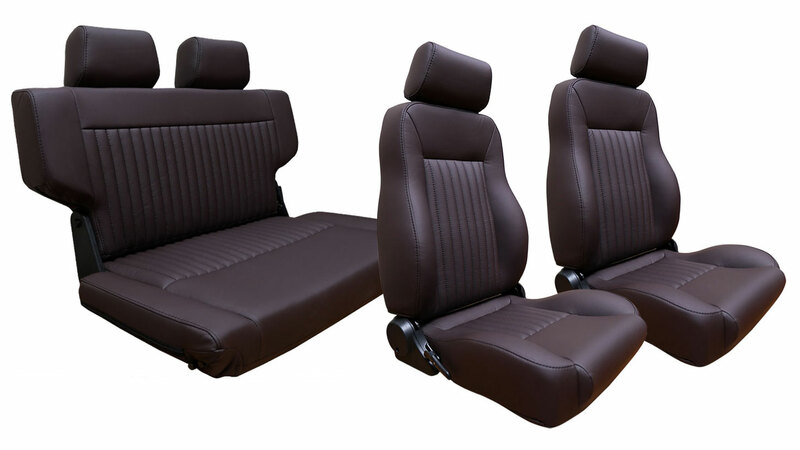 Our matching rear fold & tumble seat gives you a wider seating surface than the factory original rear seat(40" width). 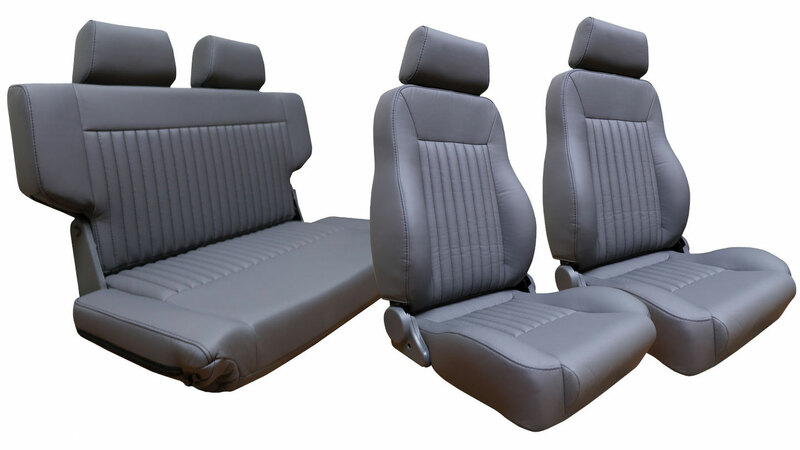 It also can be folded and tumbled forward to provide valuable extra room in the back of the Bronco when the seat is not in use. 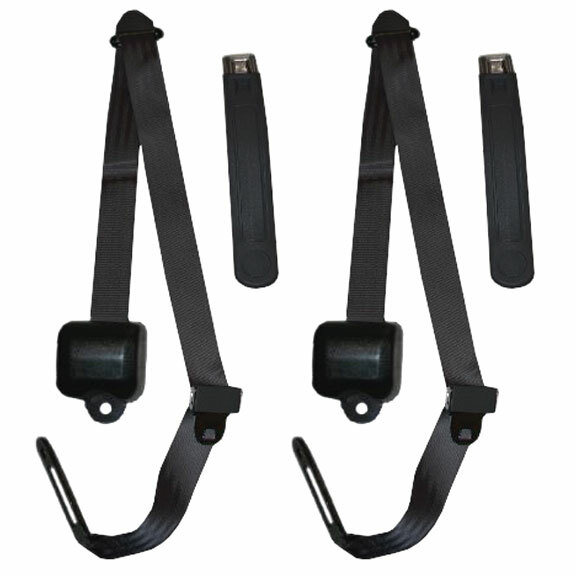 TBP offers a variety of seat belt options. 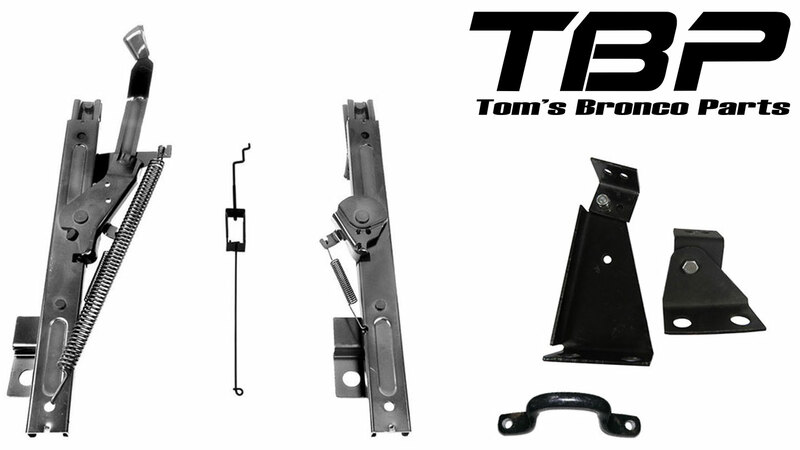 Our 3-point Shoulder Seat Belts are exclusive to Tom's Bronco Parts and feature a custom bracket system that allows for mounting of the seatbelts in the stock holes without requiring any extra drilling in the floor. 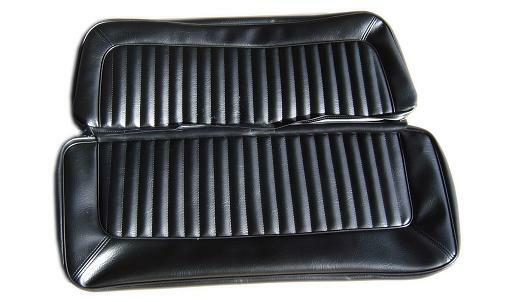 We also have matching lap belts to complete your Bronco. 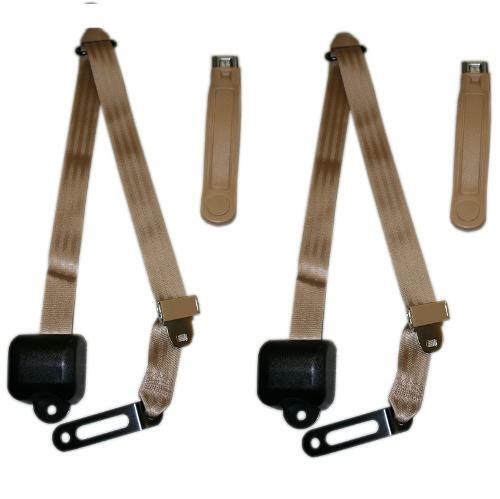 For those looking to keep it more stock, our OE Style Seat Belts are available in fixed length and retractable style. 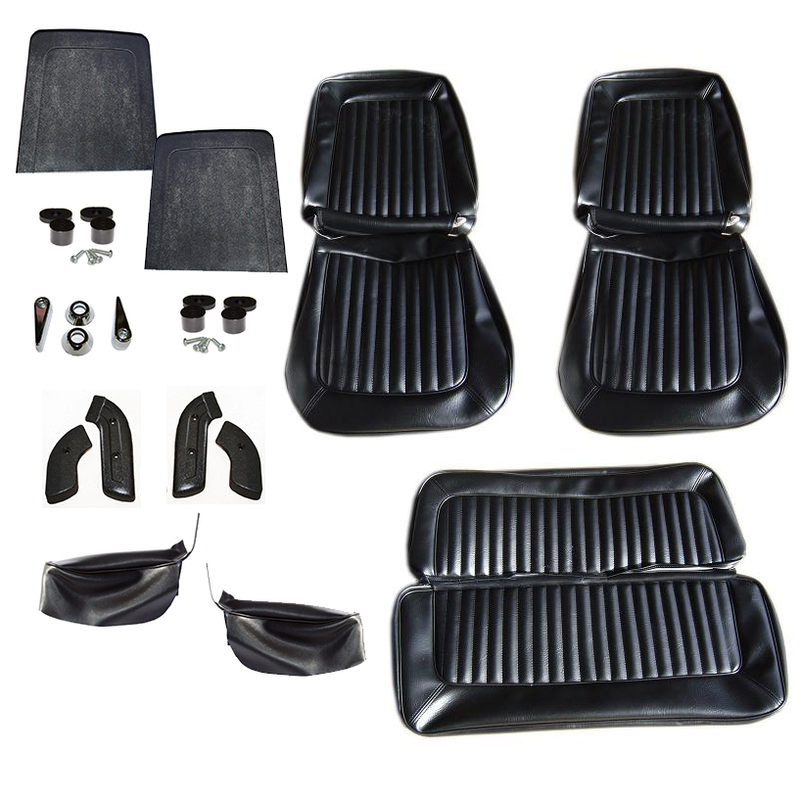 For those looking to keep your original seats, we offer all the components needed to rebuild your originals. 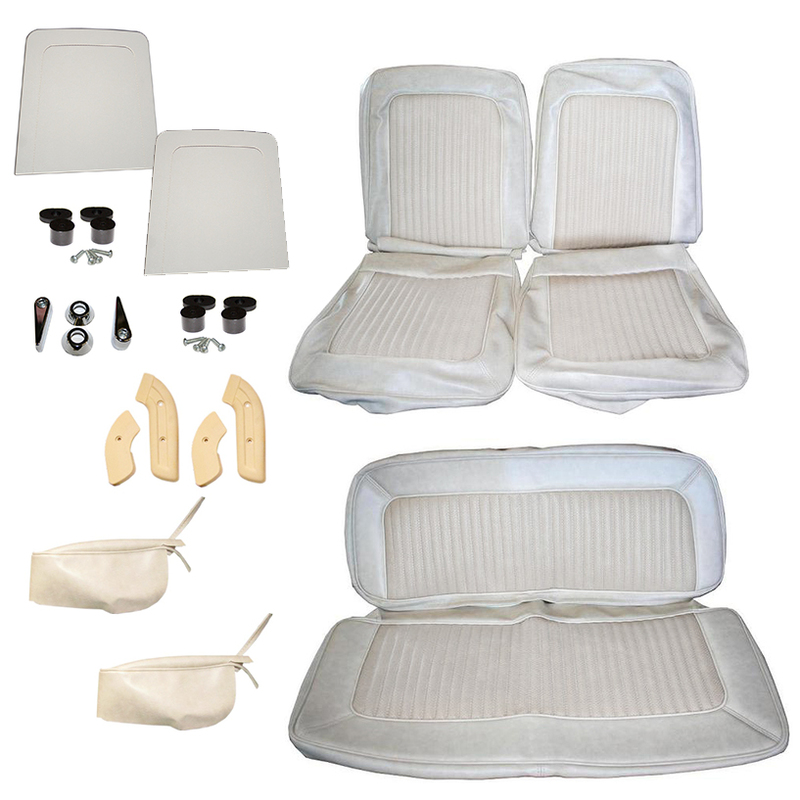 We have seat covers, foam, mounting brackets & much more. 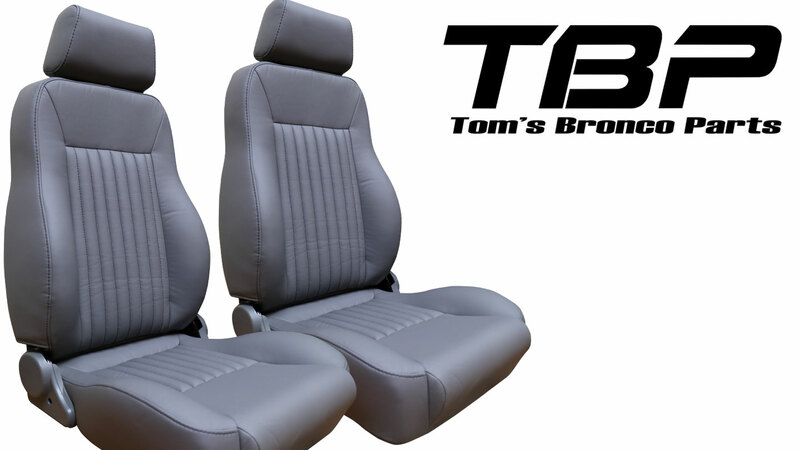 In the early Bronco, getting the right seats can make all the difference in drivability and comfort. 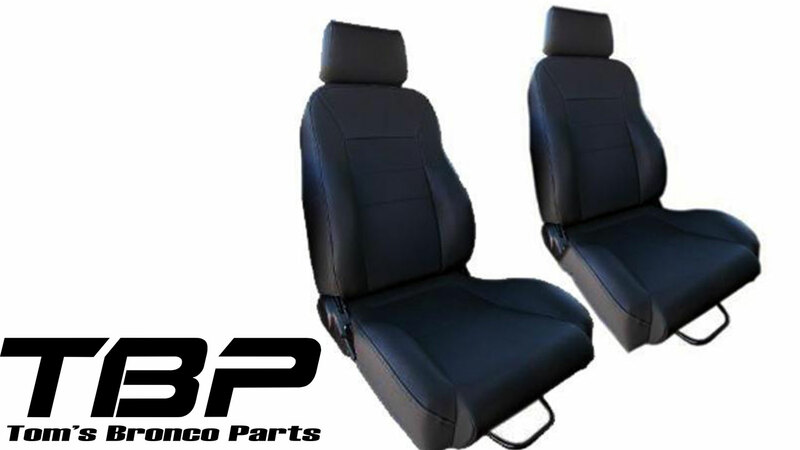 Factory Ford Bronco seats are designed with a low seat base which is crucial because the top of the early Bronco windshield frame is pretty low which can get in the way when trying to see streetlights or anything else above eye level. 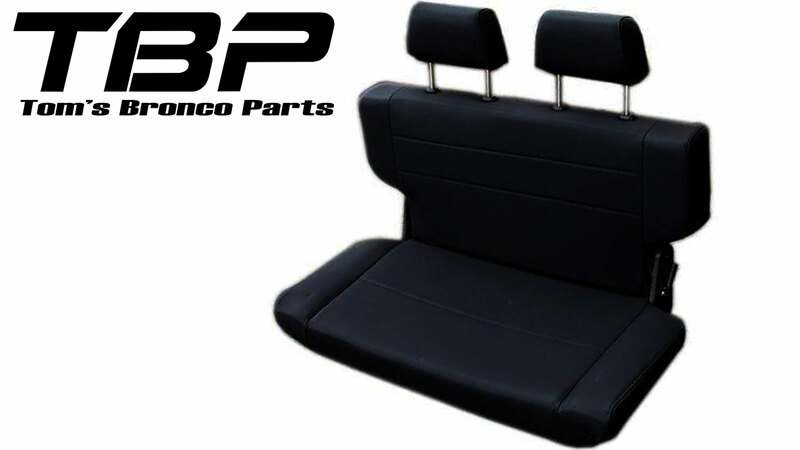 Another important component of the factory Bronco seats is that they are designed to make it easier to get in and out of the back of the Bronco. 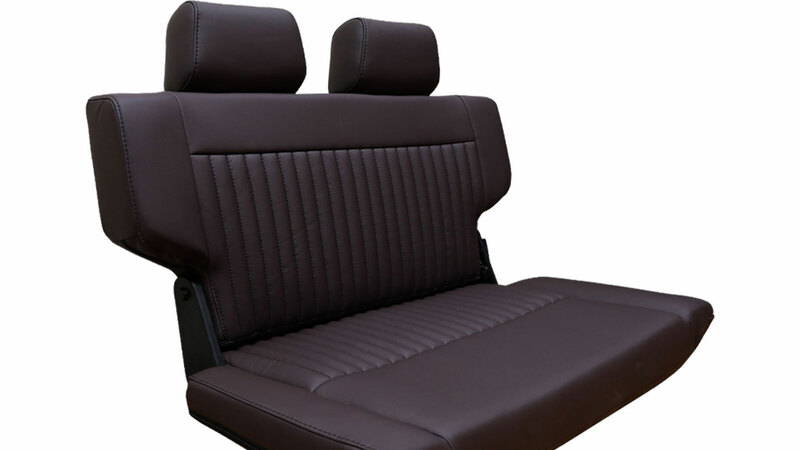 The front passenger side bucket seat has a fold and tumble action which allows the back of the seat to fold forward and then the base tumbles up and forward to move the full seat out of the way so you can climb into the back of the Bronco. 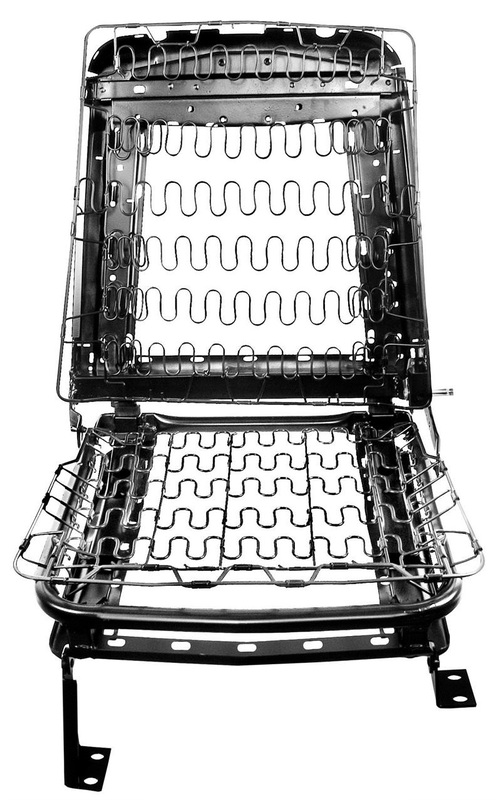 The factory driver side front seat has the same folding design, but does not tumble forward. Instead it is affixed on slider brackets which allow the seat to be slid forward as far as the steering wheel will allow. 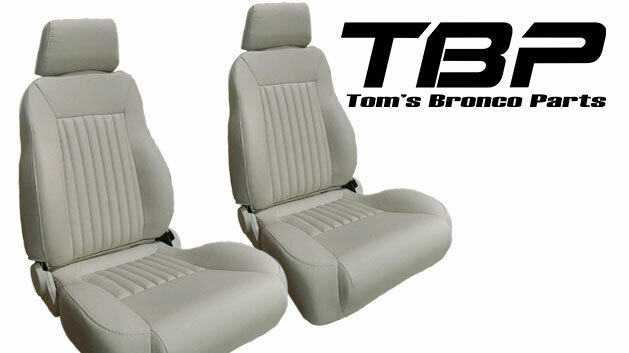 At TBP, we designed our custom deluxe seats with these same concerns in mind. 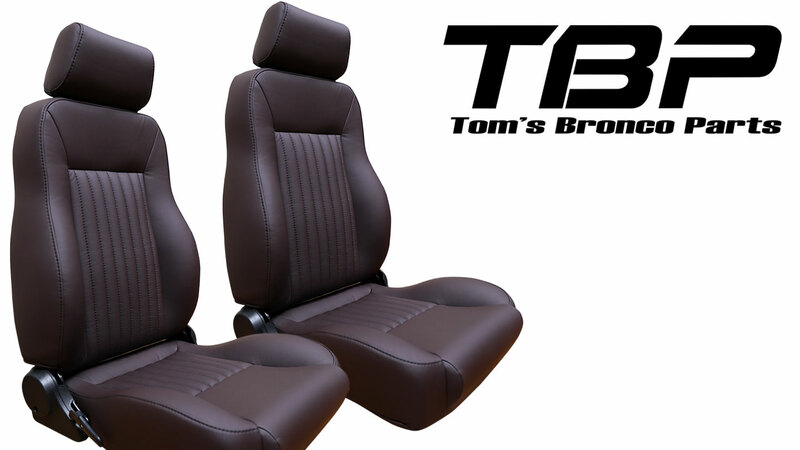 Our custom Bronco seats are both mounted on our custom slider brackets so that both the driver side and passenger side seats can be folded forward and then slid forward to make room for entering or exiting the rear of the Bronco. 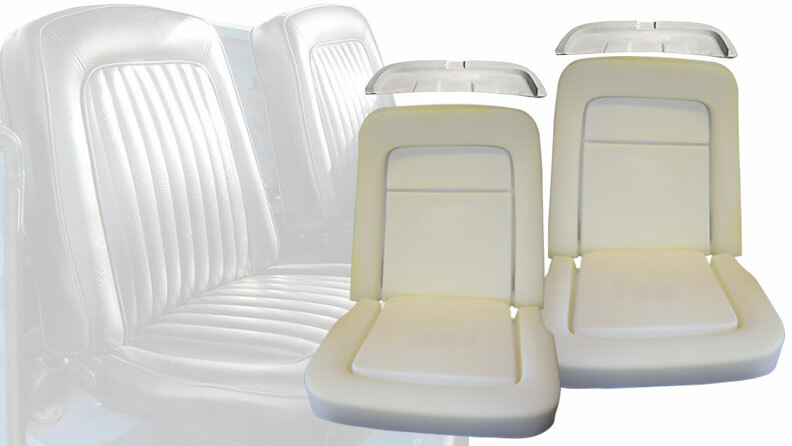 These custom deluxe front seats and bracket combination also are designed to mount so that the base of the seat is low like the factory seats are to take advantage of as much windshield visibility as possible. 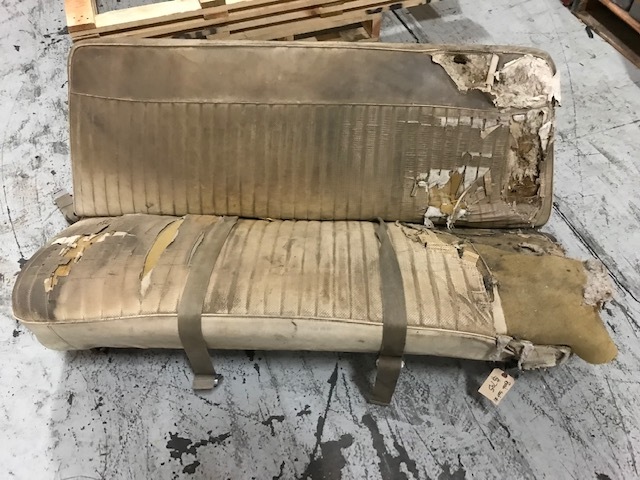 As for the rear seat in the early Bronco, we found the original rear bench seat leaves a lot to be desired. 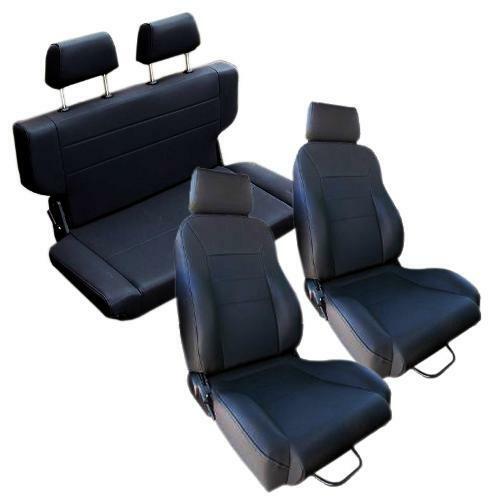 The stock rear bench seats are mounted on a fixed metal frame and include arm rests on the side. The seating area of this seat design is so small that you can barely fit two small children in it. Just try to fit a couple normal size adults in the back and see what happens. 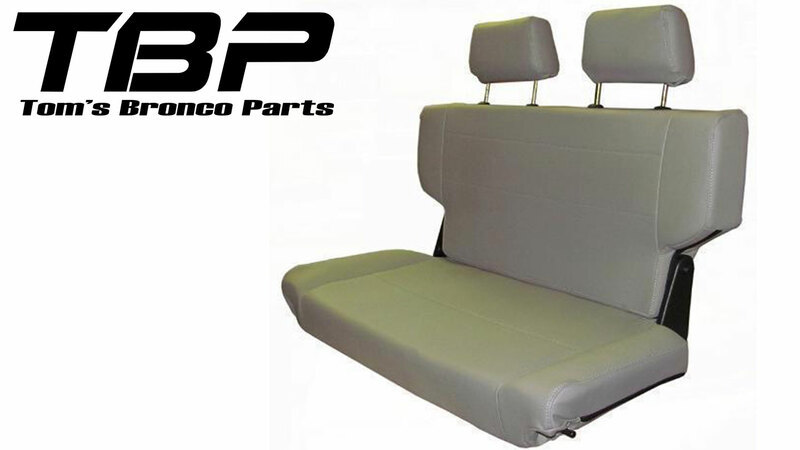 This is why we offer our rear fold & tumble bench seat for the early Broncos. 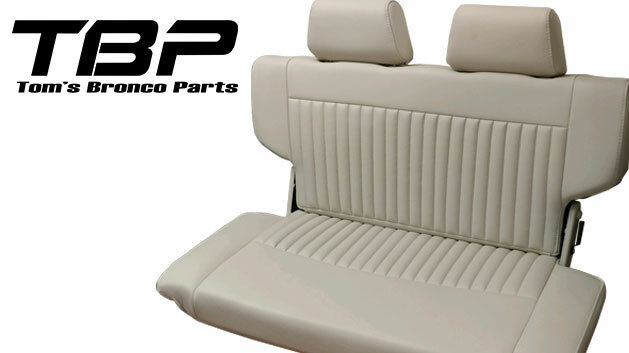 This rear bench seat is 40" wide which fills out the rear seat area from wheel well to wheel well. 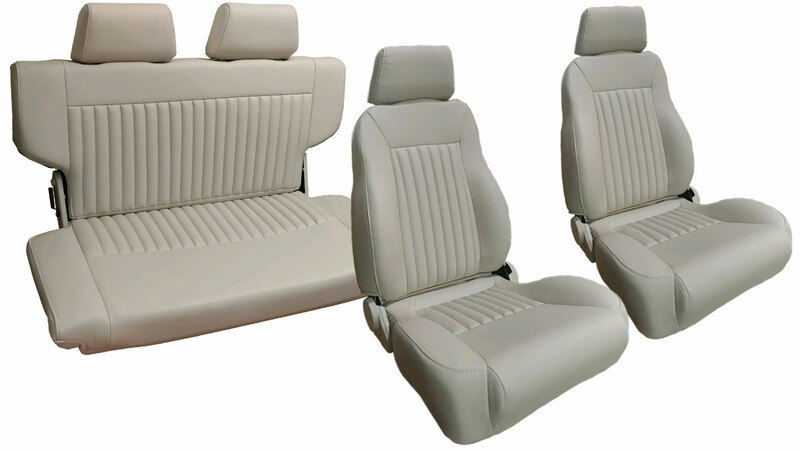 The fold & tumble rear bench seat does not have armrests which allows for more seating space. 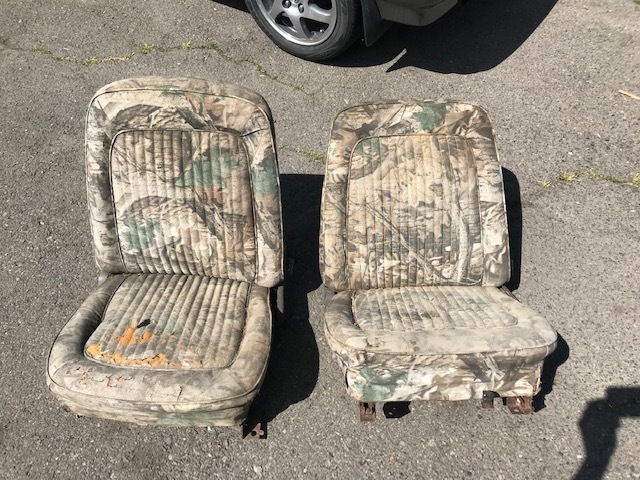 Meanwhile, the seat extends all the way to the rear wheel wells, so the wheel wells actually work well as armrests in place. 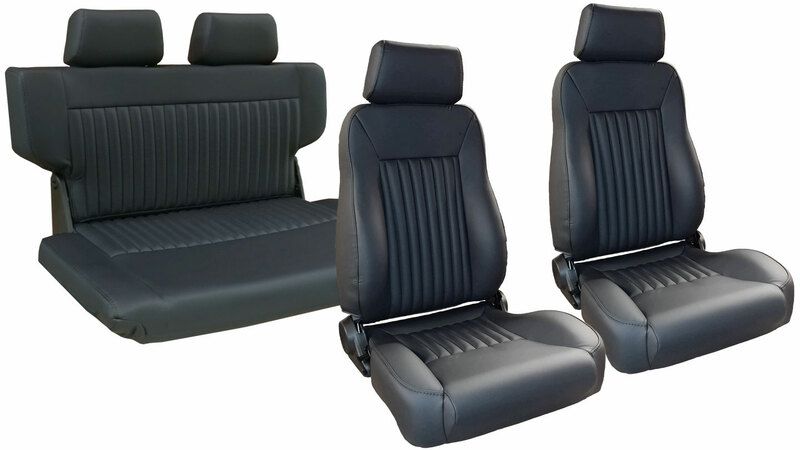 Another great advantage of our early Bronco rear fold & tumble seats is that they fold forward and then tumble forward by simple pulling a couple of levers. 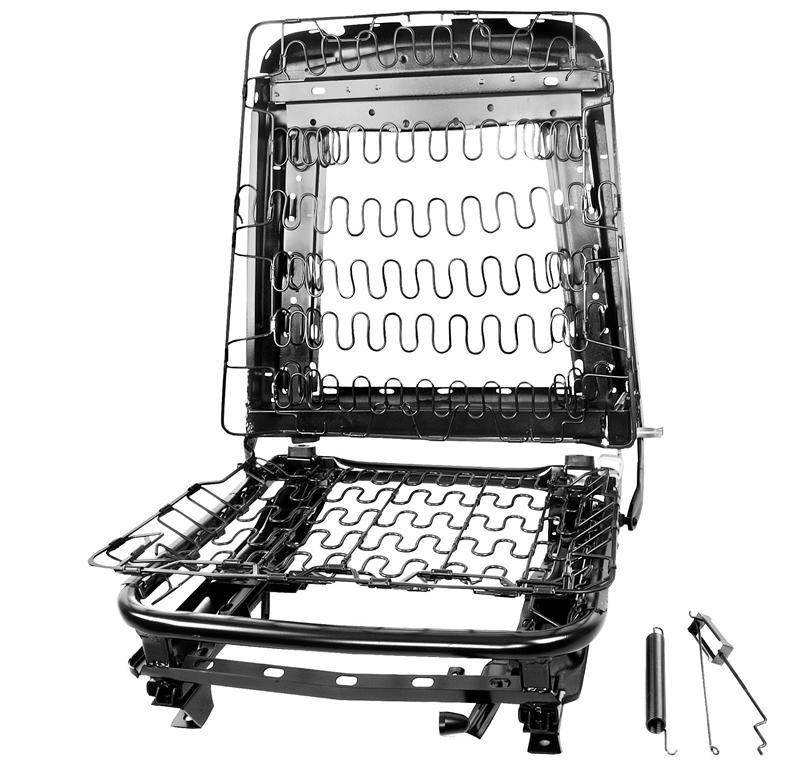 This allows you to take advantage of the extra space created in the back of the Bronco when you don't have passengers in the rear of the Bronco. 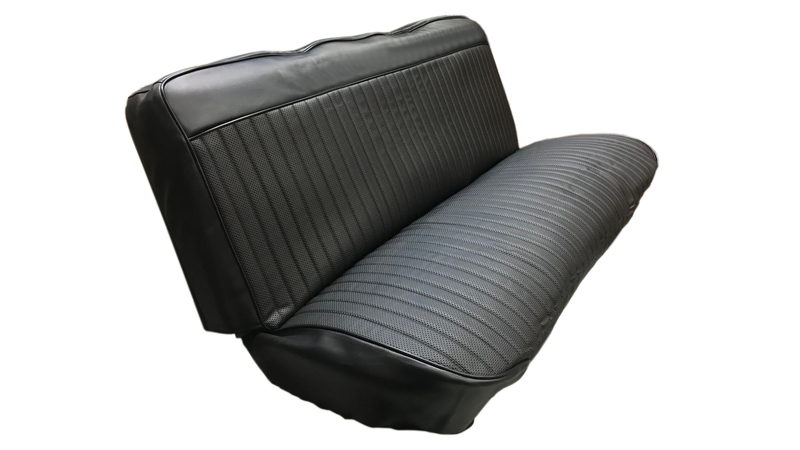 The fold and tumble action of our custom rear Bronco seat results in over twice the storage room in the back of the Bronco as compared to a stock rear bench seat setup. 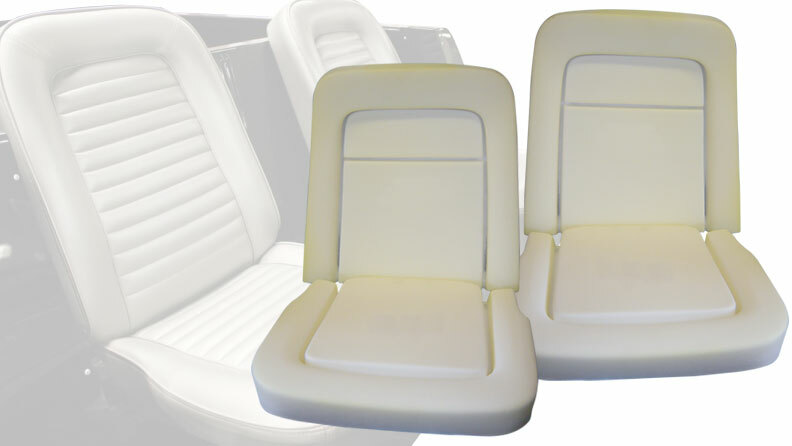 Other advantages of our custom deluxe early Bronco seats include headrests in both front and rear seats. 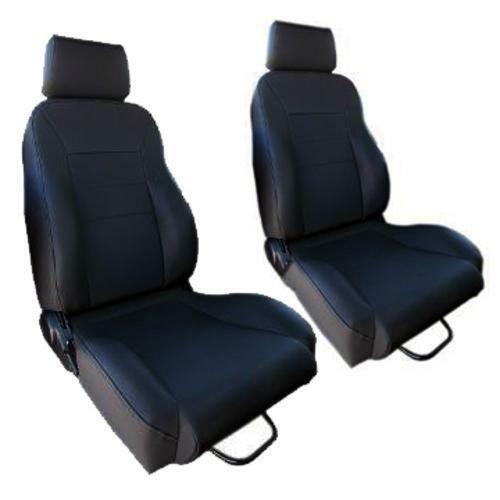 Our front seats also include storage pockets in the back of the seat to hold your belongings securely. 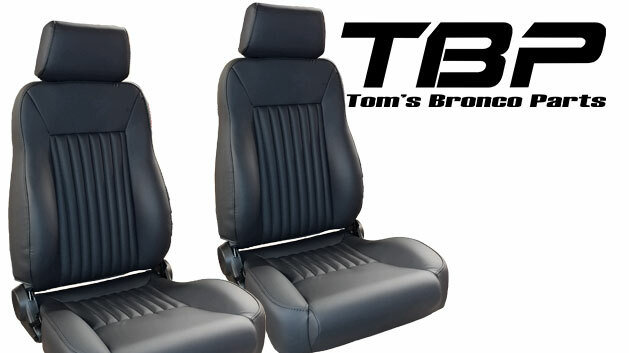 Finally, our deluxe front and rear Bronco seats are offered in Black, Gray or Spice Vinyl Denim material. The vinyl denim material can best be described as a material similar to your typical vinyl suitcase. 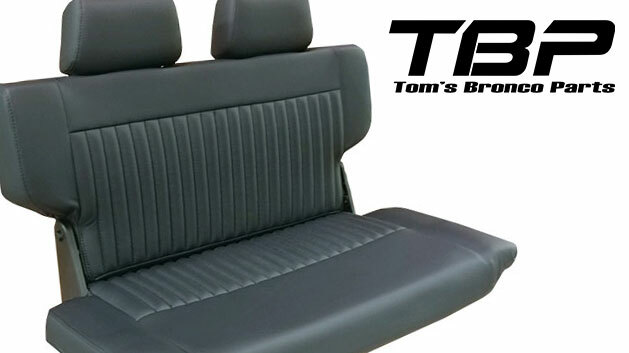 The vinyl material is woven in a denim pattern and offers great weather resistance and durability.